Early in 2015 Bruno Barros a young musician/engineer completing his education at the Musicians Institute in Hollywood, CA. decided to create a destination studio in Belo, Horizonte. His family retained famed Brazilian architect João Diniz to design a luxury home overlooking the Minas Gerais mountain range. Barros knew it was critical for the architect and the acoustician/studio designer to begin their collaboration at the earliest planning phase to insure the studios optimal acoustic environment. Henrique Portugal, keyboard player for top Brazilian band Skank, recommended Belo Horizonte-based WSDG Walters-Storyk Design Group partner/director of design (and Latin Grammy Award-winning producer/engineer) Renato Cipriano to Barros, and the wheels were put in motion. João Diniz developed an elegant concrete and glass 8,000 sq. ft. showcase home with three guest bedrooms, five star amenities, and a 1500 sq. ft. space with a 20' ceiling height dedicated for the studio. Working with WSDG at the initial design stage enabled Diniz to eliminate costly reconstruction by predetermining all acoustic priorities. Technology selections were aided by consultations with SSL Rep Max Noach, who proposed the AWS 924 console to combine classic SSL analogue technology with full DAW control, as most appropriate for this facility. "Sonastério is Brazil's first destination studio," Renato Cipriano states. "Superb acoustics begin with geometry, we worked hand in glove with the architect to insure that every square foot was precisely calibrated. The high comfort level set the stage for an extraordinary recording experience. The 750 sq. ft. live room is distinguished by a 20' ceiling height and custom-ceiling clouds outfitted with a pro lighting grid to facilitate video shoots, an 80 sq. ft. Iso booth, panoramic mountain views, and a striking 'Sunburst' studio logo hand painted over an acoustical broadband wall treatment. The airy 420 sq. ft. Control Room features the SSL AWS 924 complimented by top-drawer Augspurger Duo8 speakers with 12" subwoofers, a solid collection of outboard gear, and an impeccable systems integration by Ground Control. Initial sessions by Sony rock group Banda Daparte for their debut album were perfect assets to our critical fine-tuning process. Next up were Skank sessions of a new take on "A Hard Day's Night" for TV Globo." Studio owner Bruno Barros adds,"Sonastério Studios is a work of art in itself. More than just a recording studio, Sonasterio is a house of creation, designed to enhance the natural expressiveness of each artist. It arises from a collaboration between Joao Diniz Architecture, who has a wide portfolio of award-winning designs, and WSDG (Walters-Storky Design Group), a world-renowned acoustic architecture design company. 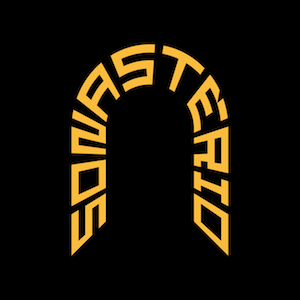 Here at Sonasterio we believe music enlightens and thus we provide artists a space that fosters excellence and help guide them in their constant search to let their creative minds shine." "Having had the luxury to participate in this project since the early stages of programing and design, through a not so typical construction, calibration of the speaker system, and ending by recording and producing some high level music there allow us to proudly report that the consensus of opinion amongst engineers and musicians is that Sonastério sounds every bit as good as it looks. This was a textbook situation, a knowledgeable client, a great architect and flawless geometry," Cipriano concludes.